The F.S.C. 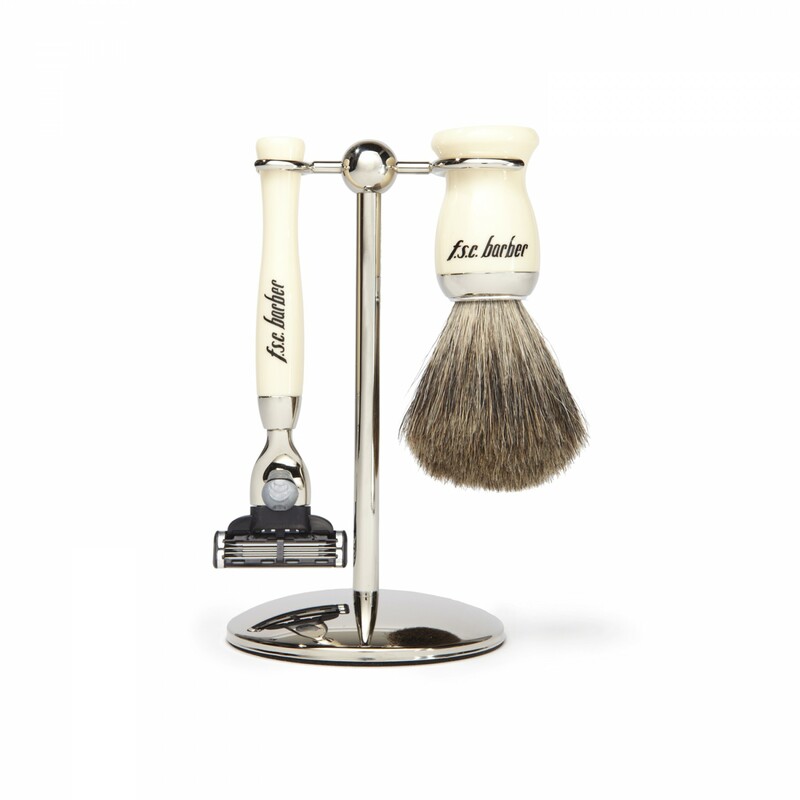 Barber 3 Piece Ivory M3 Shave Set with Pure Badger includes a shave brush and a razor with a chrome stand, all by Edwin Jagger. Simulation ivory is used in the implement handles, which have been polished to a high shine (trade in genuine ivory is illegal). Features a pure badger brush head to provide some mild exfoliation. Razor is compatible with all Mach3 blades. Perfect as a starter set, you can pick one up online here. This entry was posted in Razors, Shaving and tagged 3 Piece Shaving Set, Badger Hair, F.S.C. Barber. Bookmark the permalink.